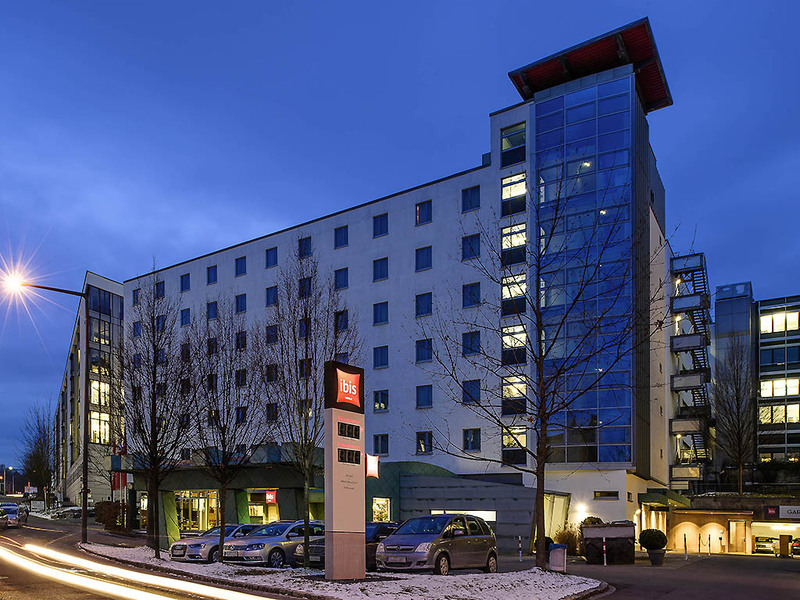 The ibis Stuttgart City hotel is situated in a quiet location on the outskirts of the city on the river Neckar. The 132 comfortably furnished rooms are equipped with a desk and there is Internet access throughout the hotel. You can also surf the web for free in the Web Corner in the lobby. Our reception is open 24/7 and you can order snacks and drinks at any time. Get your morning boost with our extensive breakfast buffet, served between 4am and 12 noon. Park securely and inexpensively in our garage. Your ideal hotel for a restful night's sleep: You will appreciate the ultimate sleeping comfort of your Sweet Bed by ibis! Our hotel has 132 air-conditioned, soundproofed rooms with free WIFI, TV with a wide range of Sky channels and a desk. Our ibis kitchen restaurant offers fresh cuisine using seasonal products. Here you can enjoy the day and evening recommendations at lunch from 11:30AM to 2PM or in the evening from 6PM to 10:30PM.